Most of the starlets that came to Hollywood in 1940s and 1950s gave up their career to get married. Only a few of them gave up their career to get married to a clergyman. This is what happened to Losi Chartrand – and not a better woman could be found for this unique position in life, as Lois was a very religious young woman even before she met her husband. Let’s learn more about her! Lois Noreen Chartrand was born on March 13, 1930, in San Jose, California, to Browning Chartrand and Norah Houston. Her younger brother, Robert Browning, was born on April 27, 1936. Her father, born in Missouri, was a highly esteemed dentist who worked at the University of California, San Francisco School of Dentistry. The family lived with Lois’ maternal grandfather, Samuel Houston, in San Jose. Lois grew up as a beautiful girl from a well off San Jose family. Unfortunately I could not find any information about her education, but I guess he was educated locally, in California. Lois started to attend Occidental College in 1947. 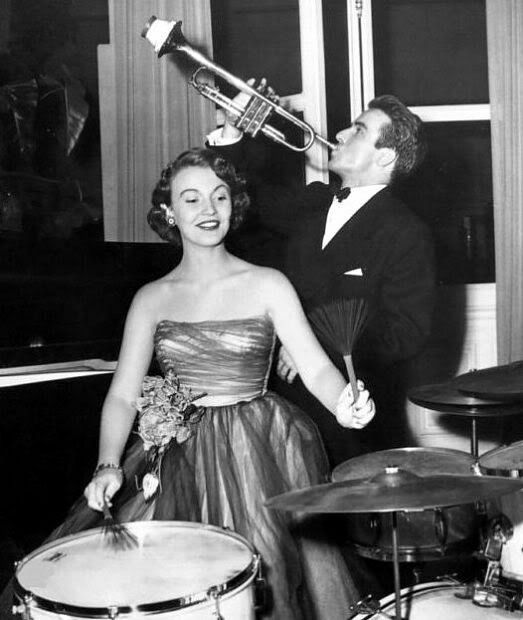 As one of the the prettiest and most popular students, she was often seen on various happenings around the campus, like the College Alumni Ball in 1948. Due to her beauty, she was named The girl with the prettiest lips by her fellow students. 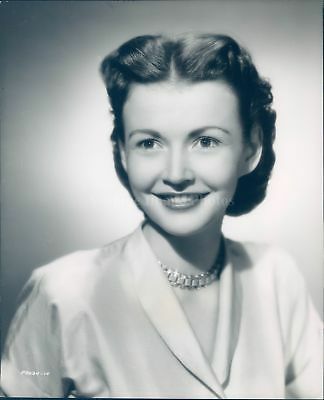 In 1949, a talent scout discovered her in college (scouts often scouted local theaters in colleges of that period, although most of the actresses I profile here didn’t go to college, so most starlets didn’t come to Hollywood via that route.). After some tests she was signed to a seven-year contract for a weekly salary of $750 by the final week. And her career started! Lois appeared in only four movies. The first one was the abysmal Riding High, a remake of a Warner Baxter movie from 1938. It’s a typical feel good 1950s movie, with no big depth, a simple plot (a jockey trying to get his big break with a beloved horse) and no great acting performances – but it works somehow. Bing is his usual self, and Coleen Gray, despite not being a top notch actress, is pretty and can act well enough. However, better and bigger things awaited Lois. She was cats in a substantial role in The Great Missouri Raid, a solid, middle of the road western about the James and Younger brothers and their adventures in the Wild west. 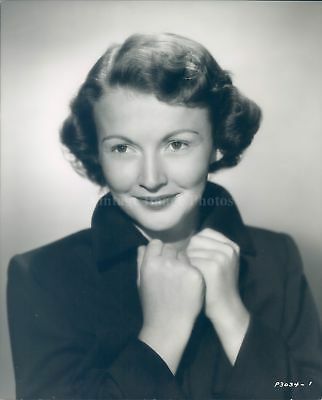 Lois played a girl who was beaued by one of the James brothers – however, she was not featured in a starring tole – the female lead was, alas, played by Ellen Drew. That same year Lois appeared in her bets known movie – A Place in the Sun. If anybody knows about Lois as an actress today, it’s this movie. Despite the fact that her role is not that big, it’s still flashy enough to warrant somebody to actually remember her. She plays a high society lady, and carried the role well enough. As for the movie, what is there to say? The story of one man’s greedy striving to wards the stars, no matter the obstacles and a unhealthy devil-take-them attitude is told with supreme delicacy and yet enough roughness to show that it’s not all martinis and canapes. Of course, the movie belongs to the stunningly good Liz Taylor, Monty Clift and Shelley Winters. No, this truly is a old Hollywood classic, a gem that shows you just how good movie could be, with a great script, very capable director and the well oiled studio machine in the background. Lois had already retired from movies when her last movie, Something to Live For, hit the theaters. As I am a Joan Fontaine fan, there is no way I’m going to malign any movie she’s in, since IMHO she never made a truly unbearable movie. She had better ones, she had the little less good ones 🙂 This one is squarely yin the middle. The story is actually contemporary even today -Joan plays an actress who becomes an alcoholic and falls for the Alcoholic anonymous member, played by Ray Milland, who wants to help her. And he’s married! Sadly, Hollywood takes such a delicate script and turns it into a over the top melodrama, as it usually does, as it’s often unable to realistically portray emotion and relationships between people (it’s easier to overact, and as such, it’s easier to make a movie that’s overly emotional). While not the worst movie even made, the script is lagging and never manages to make full use of the very capable stars it has – they make what they can from it. And that’s it from Lois! When Lois first hit Hollywood, the papers wrote just one think about her for months – that she was a direct descent of famous poet Robert Browning. Since I love Browning and find his romance with Elizabeth Barrett one of the most heartwarming romances of all time, I decided to snoop a bit, and it seem this could be quite false – Browning only had one son with Barrett, and son never had any children (at least not legitimate). So this is either typical newspaper fodder or there was an illegitimate offspring who was, in turn, Lois’ direct ancestor. Almost nobody knew, but Lois was torn apart for the whole duration of her brief movie career. Why? Well, It was the matter of a movie career that might have stood in the way of Lois and her beloved, the handsome ex-Navy officer, Clarence Mason Harvey. He was her speech teacher at Occidental College, and they hit it off right away. After a year of concealed courtship young Harvey decided to enter the ministry and became a student at Princeton. Lois signed a contract with Paramount. It was very much unsure if the two would wed. But there must have been something that had cast a spell over the young couple. A year after her first movie Lois decided to quit her movie career and become wife of a student minister. Yes, Lois gave up her career and her livelihood for a man who also had no job as he was a student. Okay, I understand that you want to get married young, before you finish college – but to expect your wife to give up her career when you have income is just plain weird. Couldn’t Lois have waited a bit before he finished school to quit her movie career? Ah, what can I say, it must have been love! Anyway, the couple wed on September 5, 1951, and Lois said to the papers that she will accompany her husband to Princeton university where he has a teaching fellowship and “keep house” for them when he returns to school in the fall. Clarence had to go back to speech teaching to pay expenses of supporting a wife while he finished school. Clarence Mason Harvey was born in China, in 1921, to missionary parents. His parents returned to the US, where he was educated at Occidental College. Harvey served In the U. S. Navy as a commander of a P. T. boat during World War II. Harvey graduated from Princeton in 1952, and that same year the family moved to Denver, Colorado where Harvey became Minister to Youth at Montview Boulevard Presbyterian Church. He became a nationally-known youth worker, and received national publicity when Marilyn Van Derbur, “Miss America” of 1957 was credited him with being the one who started her on the way to her title. She was a member of his youth group. 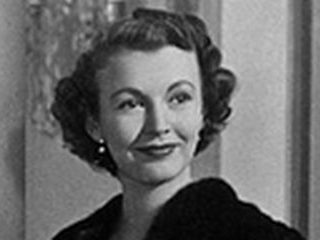 Lois may have been retired from Hollywood, but in 1952 she was a leading lady in the Christian motion picture film “Decision”. The story of the picture is taken from real life experiences of young people who came to discover a reality in life at Forest Home mountain retreat and made the decision to dedicate themselves to religion. The movie’s main tag line was Lois herself – how she was a former Hollywood Screen Star who has renounced her career to serve Christ. Hmmmm… Now, this open for debate. Did Los really ditch a promising career for marriage and religious dedication? Yes, she did have s small role in a big movie, and maybe, with time and effort, she could have achieved a a lot more, the odds were against her here. IMHO, I just don’t see it. Firstly, she wasn’t Hollywood pretty, but rather went for the natural look that Ingrid Bergman favored, but that was a look that went out of vogue with the 1950s – it was time for sophisticates like Audrey Hepburn and blonde bombshells like Marilyn Monroe to shine. Secondly, while her acting chops are opened for debate, she obviously didn’t impress anyone enough to get a leading role – and as she wasn’t a pro actress, nor had any real acting experience, it’s very doubtful she was a top notch thespian. On the other hand, she did seem radiant. Ah, it is impossible to tell, and pointless of course to even try to further analyse, but the point is, Lois indeed did cut a nascent career for marriage and that was that. The Harveys lived in Denver and had five children: Steven, Jeff, Megan, Janice N, born on June 6, 1960, and Peter E., born on August 25, 1963. They lived a Christian family life in Colorado. Lois Noreen Harvey died on December 26, 1978 in Marin County, California. Clarence remarried to Karen Harvey, and continued living in Colorado. Clarence Harvey died on April 27, 2002 in Denver, Colorado.